Now, tie a knot in the braid. 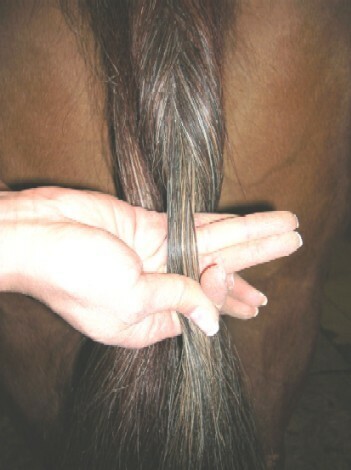 The tail extension will rest on the knot. 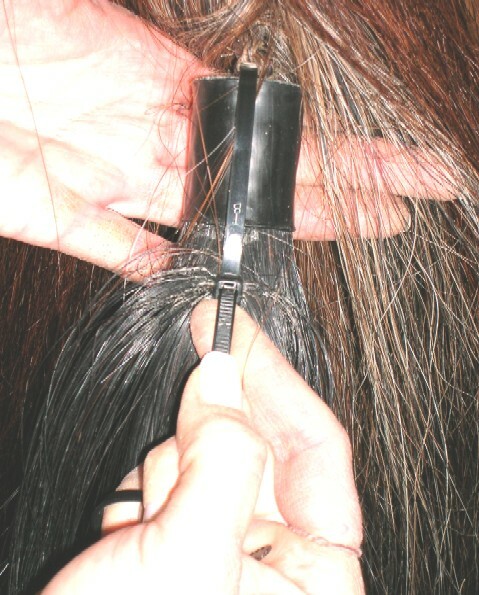 For the most natural appearance, the extension should be attached directly below the tail bone. To better secure he extension you can wrap the braided knot with electrical tape or, run a 5" cable tie down through the hole and braid and pull snug. The first time you attach the extension stand to the side and have someone slowly back the horse. If the tail starts to drag the ground STOP. 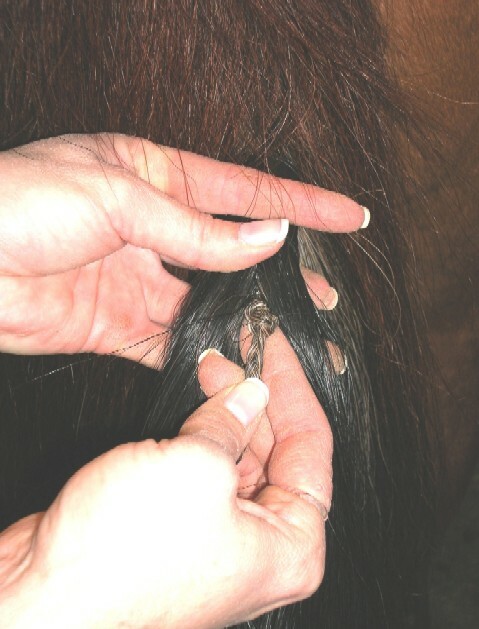 (If the horse steps on the extension he could pull out the braid). Check that the extension is sitting as close to the tail bone as possible. 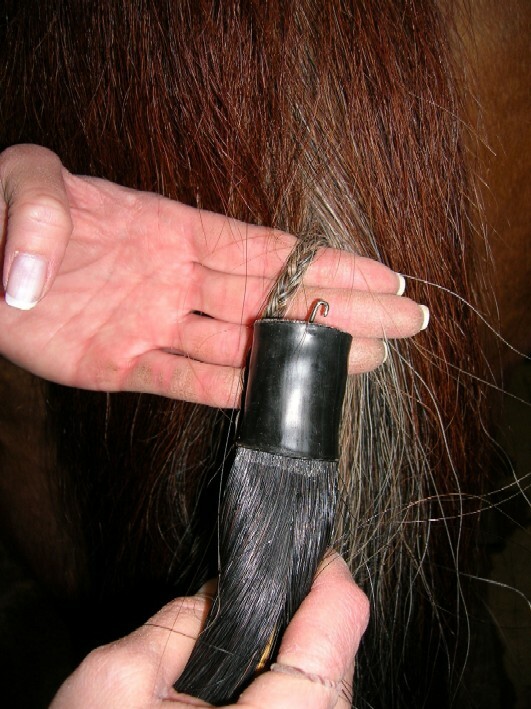 If it is then we would recommend trimming the extension so that the horse can back without stepping on the extension.